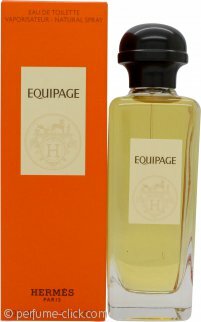 Equipage by Hermes is an oriental, fougere fragrance for men. It contains notes of orange, bergamot, nutmeg flower, jasmine, lily-of-the-valley, vetiver, musk and patchouli. Equipage was launched in 1970.